Download Xbox Emulators, Roms, Bioses, Dashboards and more for your Xbox.. This new version is just a quick update, including a newer version of XBMC, plus the new "Confluence for Xbox" skin. 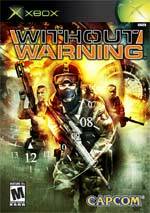 Without Warning is a highly charged action shooter set against the backdrop of a brutal terrorist siege of a U.S. based chemical plant. The story takes place over a 12 hour period, during which player..